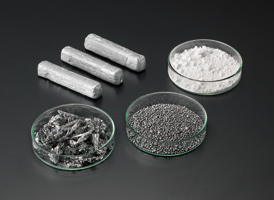 Products　tellurium | Nippon Rare Metal, Inc.
Tellurium is used for additive for free cutting steel, iron casting and catalysts, and its demand is expanding to Cd/Te solar cells, peltier device and so forth. We supply the Tellurium in various forms, grades and shapes in response to customer's demand. Our TeO2 is supplied mainly for vulcanizing accelerator of rubber for high temperature resistance use. Recently, it has started to be used in the acoustic optics, optic lens and so forth. Our research and development power has made it possible to produce Tellurite and Para-tellurite types in a different recipe.